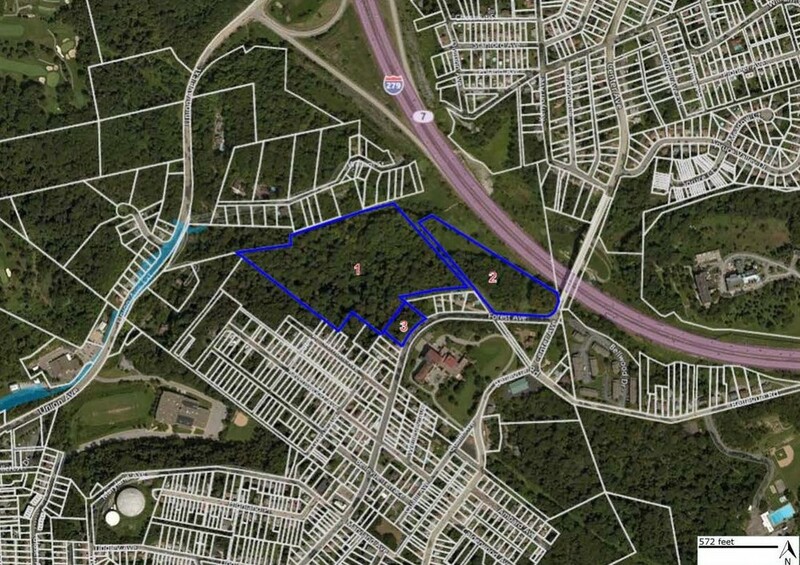 The property is comprised of 26.6 acres contiguous to I-279. The lot is currently zoned for duplex or single family development but may be able to be rezoned. 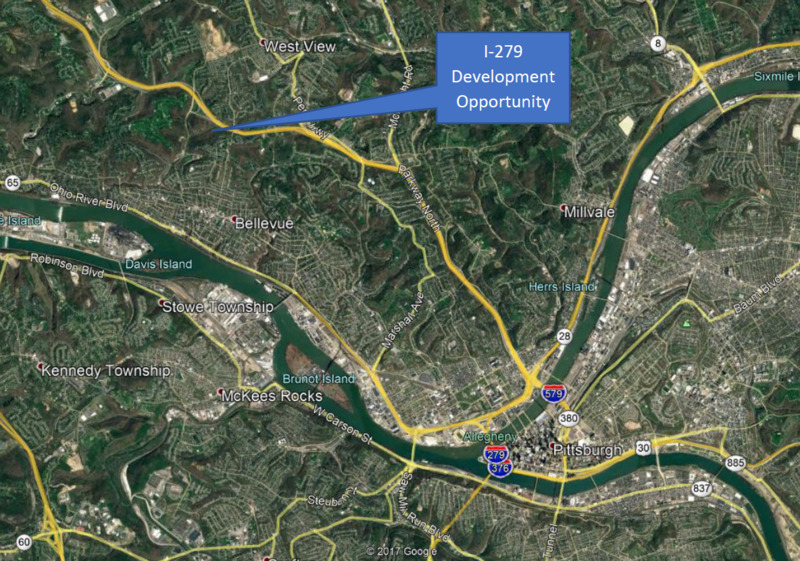 An adjacent landowner has indicated a willingness to provide access from Union Avenue extension- which would facilitate less than a 1/3 mile access to I-279. Located approximately 5.3 miles north of Downtown Pittsburgh. 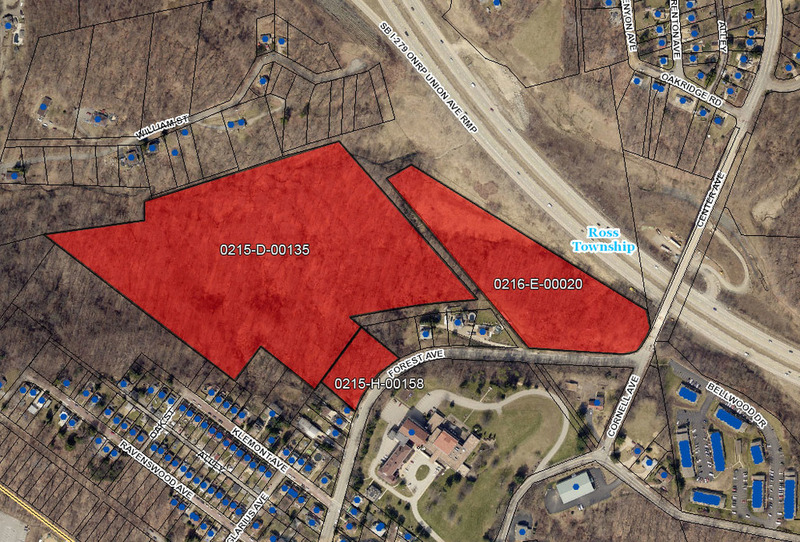 The property is located in Ross township, This property is highly visible and offers quick access to Downtown Pittsburgh.